Strong winds at the Port of Dover have delayed sailings and led to traffic disruption in Kent. 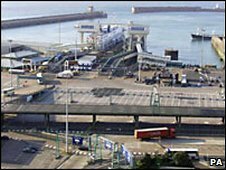 Dover Harbour Board has warned passengers that ferry crossings to France are subject to delays because of adverse weather conditions. Kent police have brought in Operation Stack - where lorries waiting to cross the Channel park on the M20. 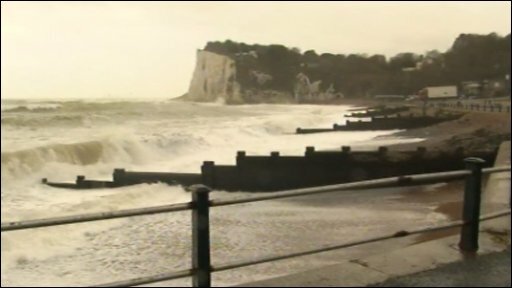 A statement from Dover Harbour Board said that sea conditions in the Channel were rough. It said all services from the Eastern Docks with P&O, SeaFrance, Norfolkline and LD Lines were subject to delays because of adverse weather conditions. Passengers were advised to contact their ferry operator for further information. Phase One of Operation Stack has been brought in, with the coast-bound M20 closed between junctions 11 and 12, police said.